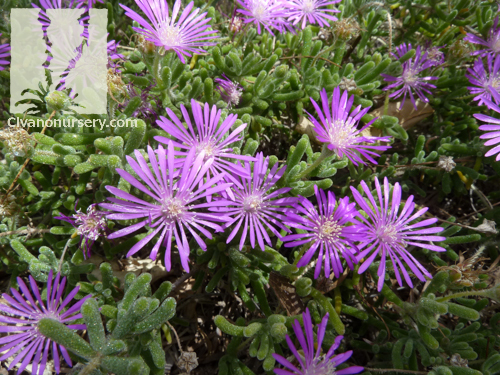 In springtime, when rosea ice plant is in full bloom, this spreading succulent can create the illusion of a solid pink or lilac purple blanket covering the earth. 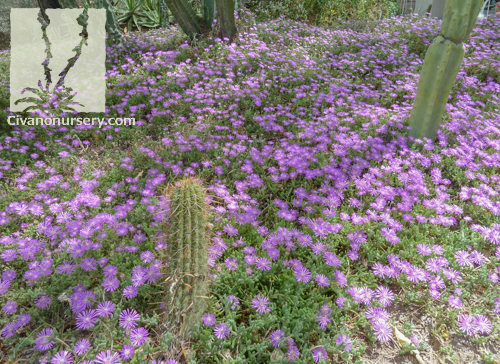 Its slightly woody stems root wherever they come into contact with the ground, eventually forming a dense mat that blocks the growth of weeds and stabilizes soil on slopes or banks. A close look at rosea ice plant’s fleshy, cylindrical leaves on a sunny day reveals the source of its common name; small structures called papillae that catch the light like tiny ice crystals. 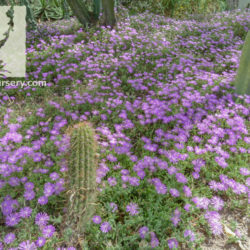 This heat and salt tolerant perennial looks great in rock gardens, under trees, in planters, by pool sides, and even when used as a water-wise replacement for lawns. 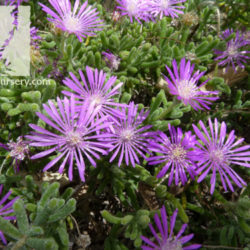 However, be sure to locate it away from foot traffic, as ice plant doesn’t like being trampled and the leaves can become slippery when stepped on.